Overnight, a tweet [here] was posted by Jason D. Greenblatt, Assistant to the 45th President of the USA and Special Representative for International Negotiations. The timing is notable, coming on the same day that King Abdullah II of Jordan makes the rounds of Washington power centers including a string of high-level administration officials as well as the White House. Still we're pleased that a senior official in the Trump Administration has gone as far as Mr Greenblatt has. It's a first, and an important one. Americans surely ought to know. And so should anyone to whom justice is a supreme value. 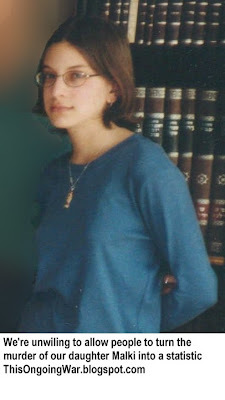 There's much more to be said, and much more that we have already said about Tamimi, justice, and what the Hashemite Kingdom of Jordan has done and continues to do to thwart the extradition of this deadly dangerous FBI Most Wanted fugitive. But for now, we're pleased to see a Trump Administration official speaking out on the issue that has occupied our days and minds for many years. 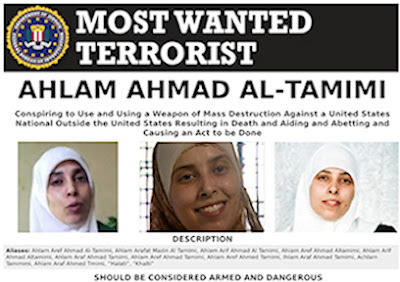 Tamimi, for those who might not know, admits to being a central figure - we say she was the mastermind - of the bombing of Jerusalem's Sbarro pizzeria on August 9, 2001. 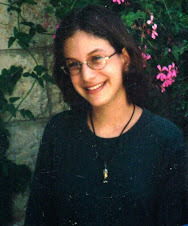 Our daughter Malki, 15, was one of the many innocent victims killed there that day. 21-Nov-17: Mass-murdering Charles Manson and mass-murdering Ahlam Tamimi: Who's more monstrous?